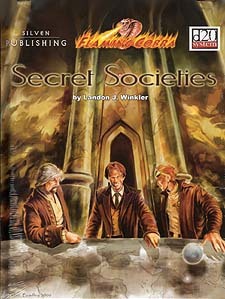 Every campaign setting has its cults, conspiracies, and secret societies. Find out what's worked for them in the real world and what's brought them down. Titans of conspiracy theory like the Freemasons, Knights Templar, and the Assassins rub shoulders with game-perfect organizations like Mossad, Aum Shinrikyo, and the Thule Society. Each of them is fully detailed, ready to serve as a source of inspiration or drop straight into your weekly game. Why let your next secret society fall lifeless when the real world has already done the work for you?